The listed version of our Equity Income fund has gone live on the ASX under the code INIF. That took a while didn't it? We've been working on this listed fund for over a year but the wait is finally over. The InvestSMART Australian Equity Income Fund, managed by Intelligent Investor, has listed today. You can find it under the ASX code INIF. Having raised over $30m, three times the minimum, we're pleased with the launch and looking forward to building on a good start. – The share registry for INIF is Registry Direct, where you can update details like email address and dividend reinvestment plan participation. Please check your INIF holding statement to make sure the details recorded are correct. – Your statement displays the amount of units issued to you, the unit price of which is $2.50. – If you provided a HIN (Holder Identification Number) with your application your investment will appear in your brokerage account, allowing you to easily monitor your holding. – If you did not provide a HIN your investment will be registered under a Shareholder Registration Number (SRN). If you wish to add to your investment or sell part or all of it you'll need to transfer your holding to a brokerage account to transact. – You can use InvestSMART's free Portfolio Manager to track and monitor your investment in INIF and other investments, including shares, managed funds, property and term deposits. Just log in to InvestSMART, select 'Portfolio Manager / My Portfolio' in the top navigation panel and add INIF under the 'Shares, Options & ETFs' tab by clicking on 'Record a purchase'. 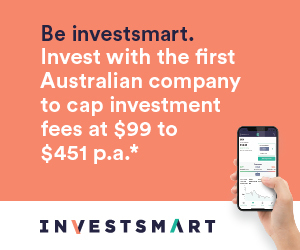 If you haven't yet invested but would like more information on InvestSMART's Australian Equity Income Fund (ASX:INIF) please click here. The best thing about a listed managed fund like this is that, as long as you have a brokerage account, it avoids the laborious paperwork formerly involved with buying a managed fund. Finally, if you want to track the progress of the fund we'll be writing regular updates on performance and portfolio changes. And, because it mirrors Intelligent Investor's Equity Income Portfolio, you can monitor any portfolio changes here.